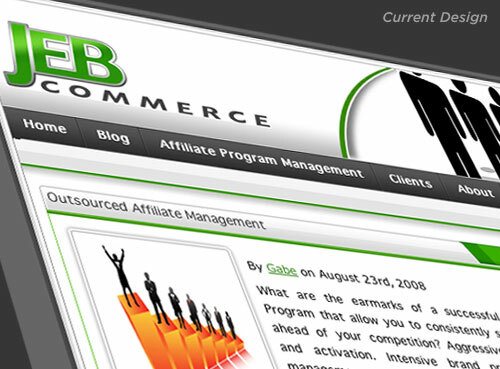 After experiencing tremendous growth and unparalleled success as a dynamic start-up in the affiliate marketing management industry, JEB Commerce – Affiliate Program Manangement realized their logo, while professional looking, was more fitting for a business in its infancy than the maturing powerhouse it was becoming and the respected leader in their industry they were aiming to attain. Even as a relatively new player, they had already amassed an impressive client list that included brands like: Elance, Ligonier Ministries, philosphy, OfficeFrog to name just a few as well as successful experience working with brands such as Dean & Deluca and Zappos.com. 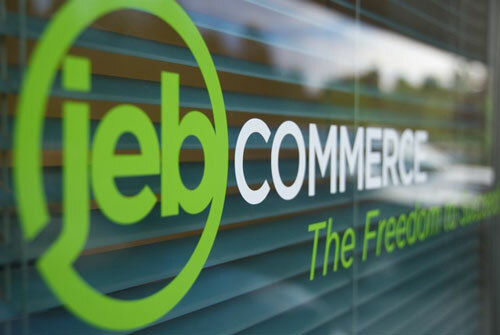 After trying an online crowd-sourcing logo design solution and being less-than-impressed with the submissions, JEB Commerce decided to approach Whitestone Design Werks to come up with a design for a new logo in order to refresh and reposition their brand. What Jamie Birch, owner of JEB Commerce thought was a simple request to design a logo, turned into an education about the difference between “just a logo” and what a well-thought out and designed identity system was and how it was crucial for developing JEB Commerce’s position as not just a well-respected brand but an authoritative, leading brand in their space.